Jillian Woodard, a junior Economics student at Spelman college, may not remember all of the Spanish she learned studying abroad in Santo Domingo, Dominican Republic, but she won’t forget the memories she made! While studying abroad is a new experience for most, after seeing her two older siblings study abroad in Paris and London, Jillian knew she wanted her own experience. 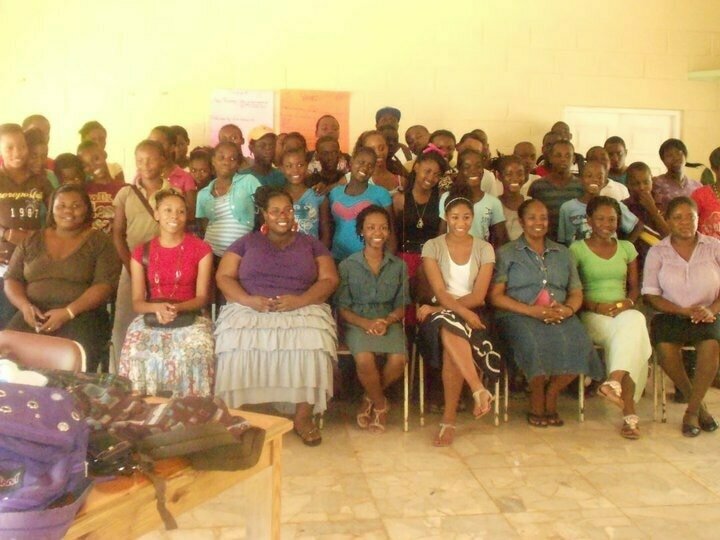 Beginning in high school Jillian’s desire to help others took her to Jamaica for a mission trip with her church, where she tutored and mentored underprivileged school-aged girls. Through a partnership with her church, Jillian’s family hosted Lesedi, an exchange student from South Africa, for six weeks during the school year. Jillian grew close to Lesedi and learned more about South African culture. After her high school graduation, Jillian and her family flew to South Africa to visit Lesedi and her family. During her 10 days in South Africa, Jillian experienced the modern city of Cape Town and the poverty-stricken Victoria. The contrast made her appreciate her hometown and educational experiences, especially at Spelman College. To fulfill her Spanish minor, Jillian studied in Santo-Domingo in the Dominican Republic through a month-long program with CIEE. She took two Spanish courses for a total of four hours of class a day. Jillian paid for her trip with scholarships from Spelman, the Emma Bowen Foundation and money from her parents. She says the cost of living is cheap, so her money there went a long way. At the CIEE institution, Jillian took classes taught by Spanish professors with only one textbook for the class. She wrote pages of notes by hand on looseleaf paper based on what the teacher said and wrote on the board, an adjustment from typing and using the internet. “I felt a lot more appreciative of all the stuff I take for granted,” says Jillian about things like clean running drinking water (she mostly drank bottled water), reliable air conditioning, and other comforts of America. In Santo-Domingo, Jillian lived with her Doña, or host mother, in an apartment with another student in the program. Her Doña treated her like family, preparing traditional meals like bandera, which consists of rice and a meat. In this patriarchal society, women dressed modestly and conservatively. However, she enjoyed the simple things, such as the family-orientated and loving culture. For fun, Jillian and other students in the program visited beaches, restaurants, salons and malls. While the mall in Santo-Domingo carries American stores like Forever 21 and Zara, little boutiques sold unique cultural items, like jewelry and clothing. This next destination for this island girl is somewhere like Spain or Mexico, where she can immerse herself in the culture and brush up on her Español (Spanish).